The days are getting shorter and the nights are getting cooler and you know what that means. Holiday season! I am not simply referring to Halloween and Thanksgiving. Those holidays pale by comparison to Christmas and Hanukah. In fact, they are just the warm-up. With the December rush right around the corner, it is time to start planning for the big one. For the business owner now is the time to begin planning for everything from holiday cards to the office party. But let’s start with your business greeting cards. The first step is to decide whether to send or not to send. Once you have made the decision to send, the next step is to decide whom to include on your list, what kind of card to select and how to address the envelope. Brush up on proper business card etiquette before you start. A well-intended gesture can easily offend when it is not done correctly. Buy your cards now. It’s October. That means you only have two months to get the entire job done with greetings in the mail. Choose a quality card to show that you value your clients and colleagues. Skimping on your selection can be interpreted in a number of Your recipients might take it as a sign that business has not been good or that they aren’t worth a little investment. Update your list. Make sure your Iist is current with correct names and addresses. Don’t embarrass yourself by sending the card to the old address. If you update on a regular basis, it does not become a dreaded holiday chore. As you gain new contacts throughout the year, take time to add them to your database for your greeting card group. Sign cards personally. Even if you have your name and the company name preprinted, you need to add a handwritten signature. The most elegant business greeting cards requires your signature and a short personal message. Otherwise you have lost an opportunity. Handwrite the address on the envelope. If you are overwhelmed at this point, want to throw up your hands and forget the whole project, have someone else address the Don’t use computer-generated labels. They just might land your card in the trash having been mistaken for a solicitation. Use titles. Whether you are addressing the envelope to an individual or a couple, titles should always be It’s “Mr. John Doe” not “John Doe” or “Mr. and Mrs. John Doe”, rather than “John and Mary Doe”. Be sensitive to culture and religions. 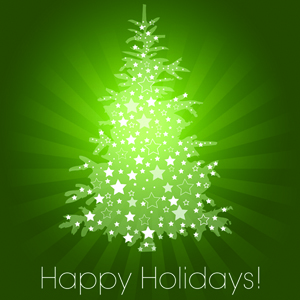 Find out which holiday your clients and colleagues observe and send the appropriate greeting. If you prefer to send the same card to all, make it a generic one. Mail your business greeting cards in time t o arrive for the designated holiday. If you find yourself addressing the envelopes on Super Bowl Sunday, keep the cards until next year and send out a high-quality note card thanking people for their business during the previous year and wishing them a Happy New Year. When you have all your envelopes addressed before Thanksgiving, during December you can leisurely write that short message and sign your name to each and every card. By the way, this process works in your personal life as well as your business. Lydia Ramsey is on a mission to stamp out rudeness and enhance professional conduct in the workplace. 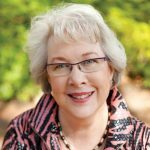 She is a Savannah-based business etiquette expert, sought-after speaker, trainer, author and newspaper columnist. She is the author of Manners That Sell – Adding the Polish That Builds Profits and Lydia Ramsey’s Little Book of Table Manners. Contact her at 912-598-9812 or visit her at LydiaRamsey.com to leave a comment, ask a question or learn more about her programs and products for businesses, corporations, associations, colleges and universities.